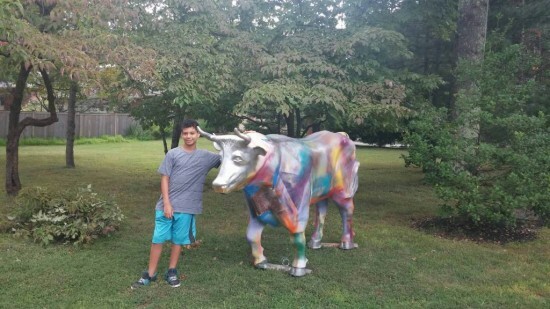 The Ox of Elm Ridge Park is a neighborhood initiative launched by Ryan Kinney as his Bar Mitzvah project. Ryan collaborated with more than 40 Elm Ridge neighbors to help bring the arts to Hopewell Valley by sponsoring "Forever Nowllie". Wolff-Kinney, Gorrie, Moonan, Brubaker, Clarke, Davis, Hageman, van der Wal, Zatuchni, Anuzis, Cowhey, Dayner, Kingsbury, Kuchinski, Markciewicz, Neider, Obst, Passolino, Roskos, and Weintraub. And the Demartino Family for giving Nowlie a home!